Expecting a traditional hostel I was pleasantly surprised to show up and see that it's a hotel. Great value for the price, close to the subway and in a good area. We would definitely stay here again. Super easy to find and friendly staff. Room was small but modern, clean and tidy. Only reason for the mark down is that I was expecting a proper breakfast as its advertised as a hotel but for the price I'm satisfied overall. Considering the price and location I would rate this hotel a very good deal. 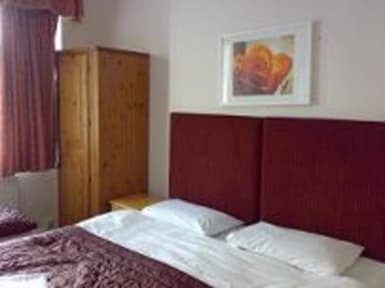 The room was modern and light and the bathroom was of a quality you would expect in more expensive hotels. One good tip for London is, forget about the underground and use the bike hire scheme (Santander bikes). It works out at £2 for the day as long as you return and then take out the bike before 30 minutes. Loads of docking stations and two near the hotel. Decent enough and clean. 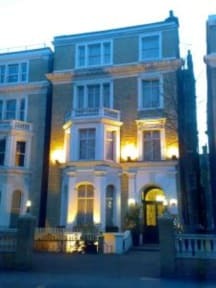 5 minute walk from Earls Court tube station. A few bars and restaurants near to hotel. Clean with comfortable bed and shower was big but could do with a bit more power. All in all, a good stay and I would definitely stay here again and I recommend this hotel. Good hotel- excellent value for money. Onsite parking was brilliant and a good proce. Breakfast was supposedly served from 7.30 Sat and from 8am Sun. But each day we went down for breakfast, the lady who does it only turned up at 7.30 and 8am, so on Sunday we had to miss it altogether as we had to be at a conference by 9 and it wasnt even being started till just after 8. (Sat, the cheese was curled up at the edges and looked like it had been in and out a few times!) Certainly not the best we've had for the money and we stay regularly in Earls Court. Terrible rooms, windows didn't open during a heat wave, staff never around, extremely rude owner. Booked to stay 5 days but barely made it 3 before the heat in the room made my mother sick so we had to leave. Good location, but nothing else positive to say about this place. I do not recommend to stay here.